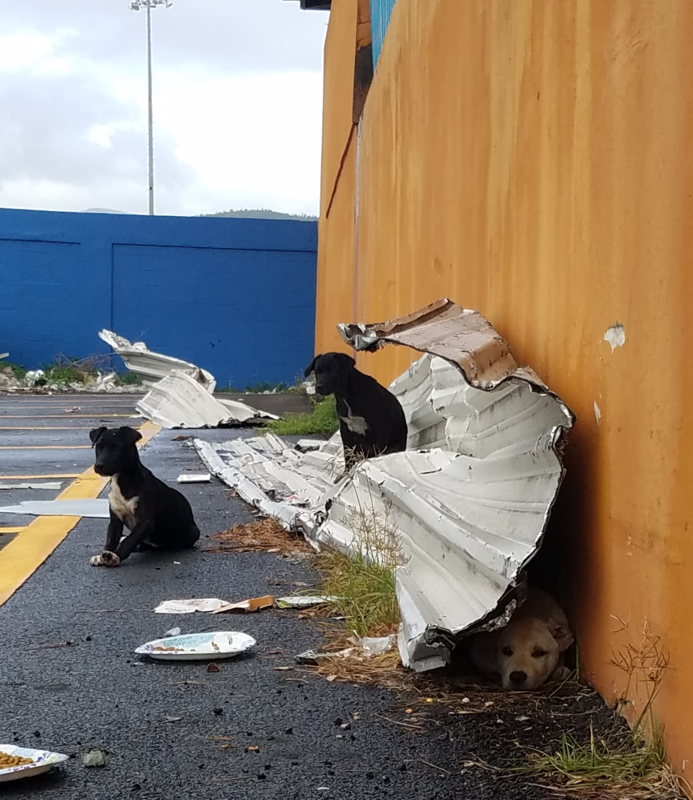 Due to the effects of Hurricane Maria, as well as the increasing financial problems in Puerto Rico, many people have opted to flee the island, often leaving their dogs and other pets behind. Most dogs that have been left on the streets are not spayed or neutered, leaving them to breed and multiply. While there is no accurate census method in place, by some estimates there could presently be as many as 500,000 stray dogs in Puerto Rico, a US Commonwealth about the size of Connecticut. The good news is that there are a few incredible rescue organizations on the island that have been helping to save the satos for years. Unfortunately, these organizations receive little or no aide from the government. They are in desperate need of donations, volunteer work, and collaboration with US based non-kill shelters who are willing to accept these wonderful dogs. There are virtually no adoptions taking place within Puerto Rico, leaving the shelters full and unable to accept any additional dogs. This is where we come in. The Hearts and Tails Animal Alliance provides the missing link by partnering directly with some of these amazing Puerto Rico-based organizations, facilitating and coordinating the transport & receiving efforts with wonderful folks at the New England-based shelters. We create the operational standards and practices to ensure that all of the satos that come through our network will have the highest chances for a speedy and successful adjustment with their new families. To learn more about the grim reality of the satos, check out this documentary. Although the problem has worsened since it’s filming, it paints a more complete picture than we can convey here. To learn more about the sato dog itself, Click here.